If running extreme distances is as much about mental endurance as physical, how do you keep going when your internal monologue turns against you? That was the simple question Ira Rainey faced when the darkness of depression cast its long shadow over his life. 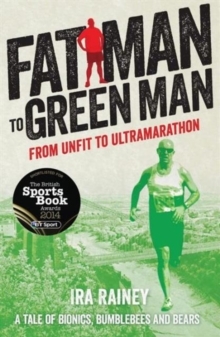 The answer it turned out was far from straightforward.Following on chronologically from award-winning Fat Man to Green Man: From Unfit to Ultramarathon, this second book examines how important mental state, support, and friendship are, not just to running long distances, but to life and happiness as a whole. It's not a book about winning, nor is it written as a guide, a how to, or an instruction manual. 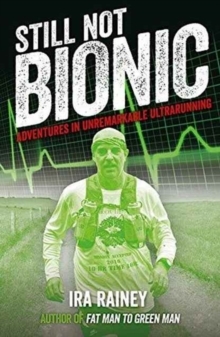 It's simply an honest window into the world of unremarkable ultramarathon running.Still Not Bionic follows Ira's turbulent journey as he battles his inner demons across mountains, along coastal paths, and beside canals in his attempt to undertake the ultimate quest of completing a one-hundred mile footrace across England.